A beautiful place with a distinctive architecture and spacious rooms. Hotel Shree Ji is a charming hotel with its unique architectural design and a warm and inviting ambience. The bedrooms at the hotel are each slightly different from one another in its decor. While some rooms are classically decorated with light colored walls and dark wood furnishings, others have one dark colored wall while still some have light wood furnishings with several paintings adorning the walls. The sofa and a low table makes for extra seating space in the room. 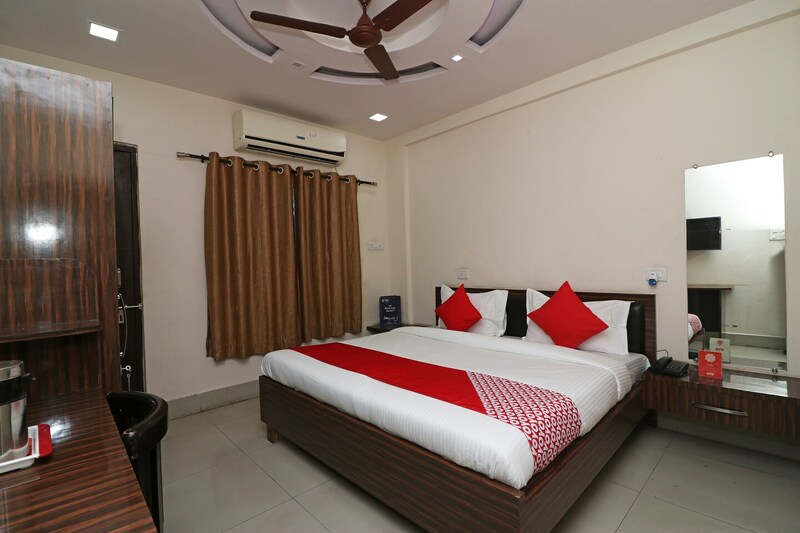 The hotel provides its guests with power backup, a kitchen, a banquet hall, a dining area, an in-house restaurant, and laundry and parking facilities.